When you are looking for a timeless and beautiful window treatment solution for your home, there are a number of different options out there, but there is one that stands apart from the rest. Plantation shutters can instantly increase the level of elegance in any room of your home, and can provide you with a significant boost in the value of your home at the same time. 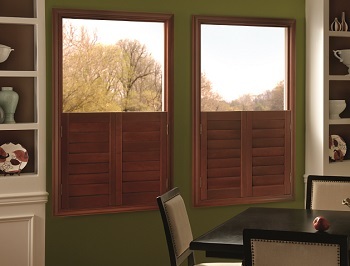 In addition to the aesthetic and value aspects, there are a number of other reasons that plantation shutters can be an excellent investment for your home, and there is no one better suited to the task of helping you find the right option and give you a quality installation than the team of professionals here at Luv R Blinds. If you are like most modern homeowners, you are always searching for ways to help cut back on your expenses. Well, what if we told you that one of the many benefits of plantation shutters was the fact that they could help you save on your monthly energy costs? Plantation shutters can be an excellent way to improve the efficiency of your home and boost your home’s value at the same time. To help you make the decision on whether or not plantation shutters are the right energy saving option for your home, the team of professionals at our shutter company have taken the time to put together this short list highlighting several of the ways that plantation shutters can help you save. One of the great things about plantation shutters is that they help to reflect solar radiation when they are installed on your home. Because of this, you can reduce the amount of heat build up in your home during the summer months which, in turn, means that your air conditioning system isn’t going to have to work as hard to keep your home cool. Overall, this combines to help make your home a great deal more energy efficient, and even helps to prevent damage to your air conditioning system and your furnishings. Much like they work to keep the warm air out and the cool air in during the summer, plantation shutters can be closed during the winter to help keep your warm air inside your home where you want it most. Because of the way they are constructed, plantation shutters act as almost an extra layer on insulation for your home, and keep your home sealed against drafts and air escaping outside. Because so much warm air is typically lost through poorly sealed and insulated windows and doors, plantation shutters can help to keep your home cozy this coming winter, and help you save money while doing so. If you are looking to enhance the overall aesthetic of your home and improve your home’s energy efficiency at the same time, installing new plantation shutters could be one of the wisest moves you ever make for your home. Plantation shutters will help you to keep the harsh UV rays of the sun out of your home, reducing heat and glare during the summer months, while closing them up in the winter will help to make your home more cozy and comfortable for you and your family. With plantation shutters, you will have all the tools you need to keep your home at its most comfortable, and to save money on your energy costs while doing so. 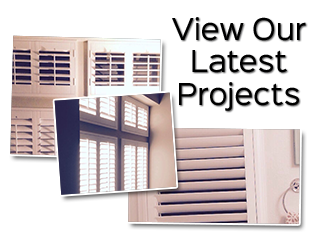 If you are looking for a plantation shutter installation professional in Norco or the surrounding area, give us a call today at 951-736-9650 or fill out our online request form.